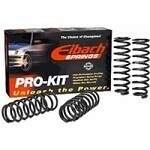 Eibach's Pro-Kit is their premium suspension product. These are sport lowering springs, and they improve handling while lowering your car. They have a 1" drop in 90-97 miatas. 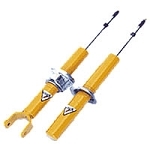 Power Slot rotors always meet and/or exceed all OE specifications. Koni is now offering this shortened shock body shock with more aggressive valving combining for a great motor sports package. 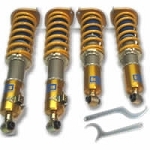 Koni's new RACE shocks for the 90-97 Miata are perfect for use with high spring rates that other cheaper shocks can not control. Price is for a set.